In today’s blog post, our expert roofers talk about the red flags indicating the need to replace a commercial roof. This form of damage appears as tears or holes on the roofing membrane. It occurs for various reasons, including carelessness when stepping foot on the roof and flying debris. It is a problem for commercial property owners because it exposes the roof to potential water intrusion, which could compromise the whole system. Too many punctures necessitate an immediate roof replacement project. They form when gas gets trapped within the roofing system, causing it to expand when exposed to sunlight. It can be easily distinguished thanks to its long and thin raised areas resembling bubbles. As soon as blisters become apparent, call our expert pros for a roof inspection. Improper roof installations are the leading cause of open laps, which may compromise the whole system. The roofer may have disregarded the application of adhesive on an entire lap or might have had insufficient preparations on the roof surface. It is a common problem found in roofing systems that are attached mechanically. As strong winds blow through the property, the roof’s fasteners begin to move back and forth, enlarging the hole around them. Membrane punctures could occur when ignored. 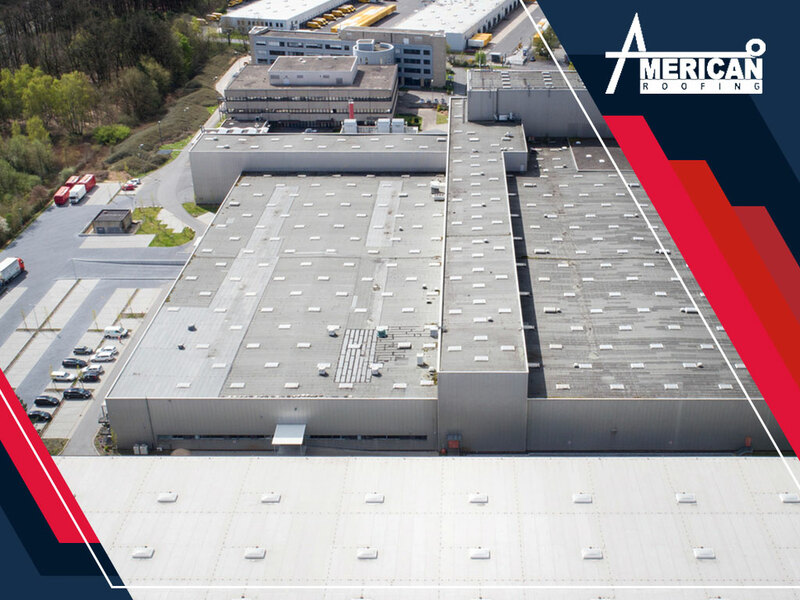 Trust American Roofing, Inc. for your commercial roof installation, replacement, and maintenance needs. Our roofing pros are GAF Certified Maintenance Professionals. You can be sure your investment remains protected through the years while reducing the risk of unexpected expenses and unnecessary disruption that may occur during leaks or other roof-related issues. Call us at (216) 307-3898 to get started. You may also fill out our contact form for a free estimate. Our Ohio service areas include Cleveland and Mentor.